Regula is the leading producer of expert devices for authenticity control of travel documents (passports, visas, ID cards, etc.) and other high security printed papers. 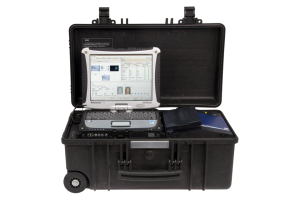 We are known all over the world: our products and solutions are used by law enforcement experts from Europe, Middle East, Asia, Africa, Australia and New Zealand, South and North America. 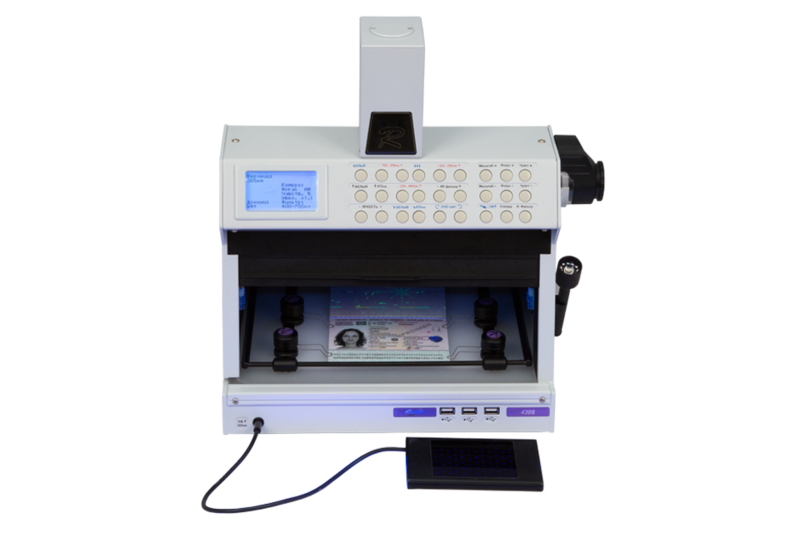 (desktop models 70X4M, 70X4, 70X9, 7017; mobile models 7308, 83X3; model for integration into kiosks and eGates 70X8) offer full page scanning of passports/IDs, visas, driver’s licenses and other identification documents, reading of all information (MRZ, OCR of VIZ, barcodes, RFID and SmartCard chips) and automatic authenticity verification (cross-checking of text data, UV patterns, IR patterns, IPI, security fibers, etc). All procedures are performed within seconds and are applicable both to ICAO (passports, IDs, etc.) and non-ICAO compliant (driving licenses, health cards, etc.) documents. A small-sized reader for desktop use. Hard plastic body (IP54). The device is connected to a PC via a USB cable. No moving parts. The device allows capturing images in white, infrared, ultraviolet and coaxial lights. Certain models are equipped with modules for reading RFID chips and smart cards. 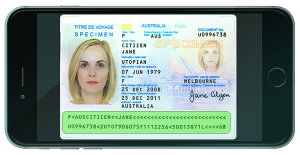 (models 4115, 4205D, 4177, 4303M, 4305DMH, 4307, 5001MK.01, 7701M) are intended for express or advanced authenticity verification of documents (passports, visas, IDs, driver’s licenses, birth certificates, banknotes, etc.) with security features. This range of devices includes optical and video magnifiers, video spectral comparators, microscopes, magneto-optical devices, etc. The comparator is constructed as a single unit for desktop use in an aluminum body. It is equipped with a built-in RFID reader. 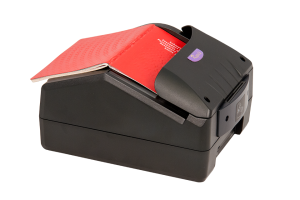 The device has a spacious working area over the object stage, clamps for fixing examined documents and a special shield protecting from harmful effects of ultraviolet radiation. The device has a full set of light sources of visible, infrared, ultraviolet spectral ranges and imaging filters used for carrying out forensic examinations. (models 8703, 8003, 8304) are designed for examination and verification of identity documents in the field. These devices include document readers, light stages, video spectral magnifiers, compact devices, document processing software and information reference systems. The workstations can be used as portable (powered by a battery pack) or stationary (powered from the AC mains) equipment. Regula 8703 is designed as a mobile complex in a protective case. It consists of the following major parts: a laptop (model is selected at customer’s request) and a built-in high resolution optical document reader. A specially reserved space for WLAN & VSAT module is provided. 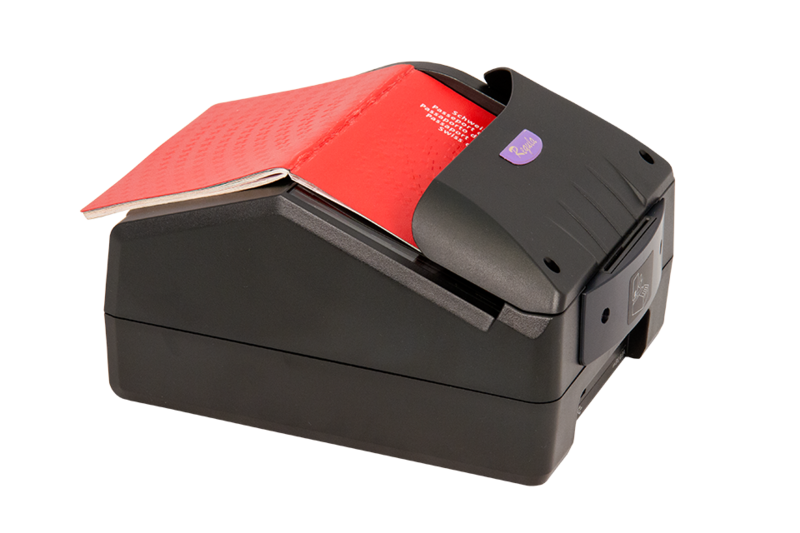 The workstation document reader enables to capture high resolution (1040 DPI) images in white, infrared, ultraviolet, transmitted visible (white) illumination and to read data from RFID tags. 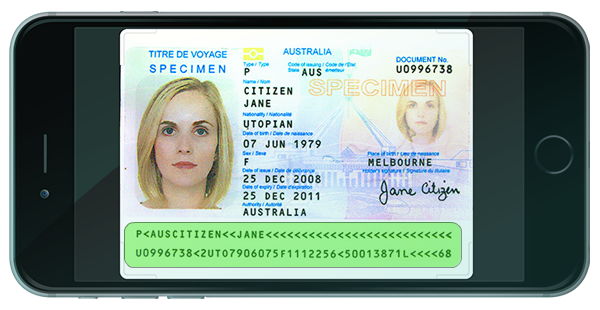 Regula Document Reader SDK for mobile devices is a robust, secure and cost-effective solution for instant filling in forms with personal data from passports, IDs, visas and driver’s licenses. 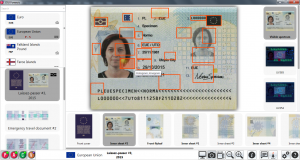 Regula Document Reader SDK performs on-device high speed OCR and parsing MRZ from ICAO 9303 compliant documents (passports, visas, ID cards) and ISO 18013 compliant documents (driver’s licenses). No need to position the document carefully and precisely in front of the camera – just make sure the MRZ is in the camera view (it can be placed horizontally, vertically or diagonally). The MRZ is detected, cropped, rotated, recognized, parsed and verified automatically. 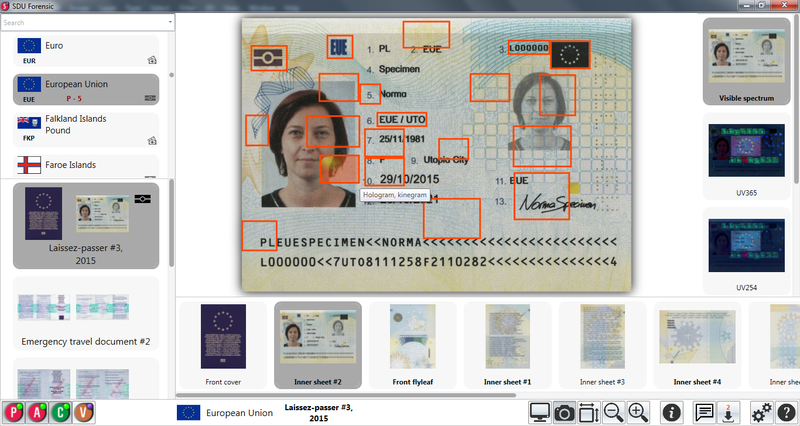 (Passport, Autodocs, Secure Documents Ultimate, Frontline Document System, Currency) are unique digital databases containing images of passports, IDs, visas, driving licenses, vehicle registration certificates, banknotes in different lights (white, UV, IR) with detailed description of document protection elements. The reference systems are compatible with document readers and devices for document authenticity control. Online versions of Information Reference Systems are available. Constantly updated database contains information about more than 6000 documents and banknotes from 186 countries with more than 265000 high resolution images. Possibility to add description and comments to existing documents; images and description of new documents using Document Builder application. Training courses on authentication of banknotes and security documents: passports, ID cards and other identity documents, visas, driving licenses and vehicle registration certificates. The project is based on company’s own information and technical resources. 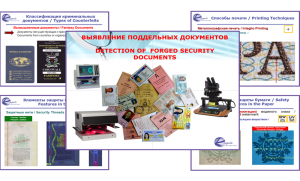 The teaching staff also accumulates data obtained at various international conferences and exhibitions in the sphere of high security printing. We take into account the requirements of laws and regulations concerning the process of document authenticity verification. The project includes two training programmes intended for an audience with different levels of knowledge. The programme content may be revised or expanded upon learner’s request. The lecturers have wide practical experience in forensics and teaching such specific disciplines. The effectiveness of educational process is achieved due to video materials, printed images and digital resources. Contact: Leviy Sergey, Head of laboratory: Ph.D.